I flashed back to my childhood. 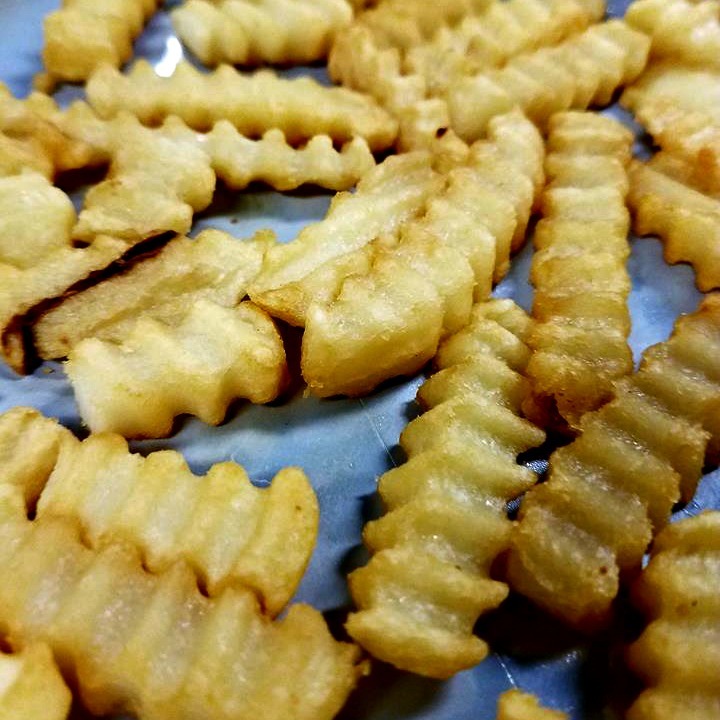 Fries were always highly coveted. 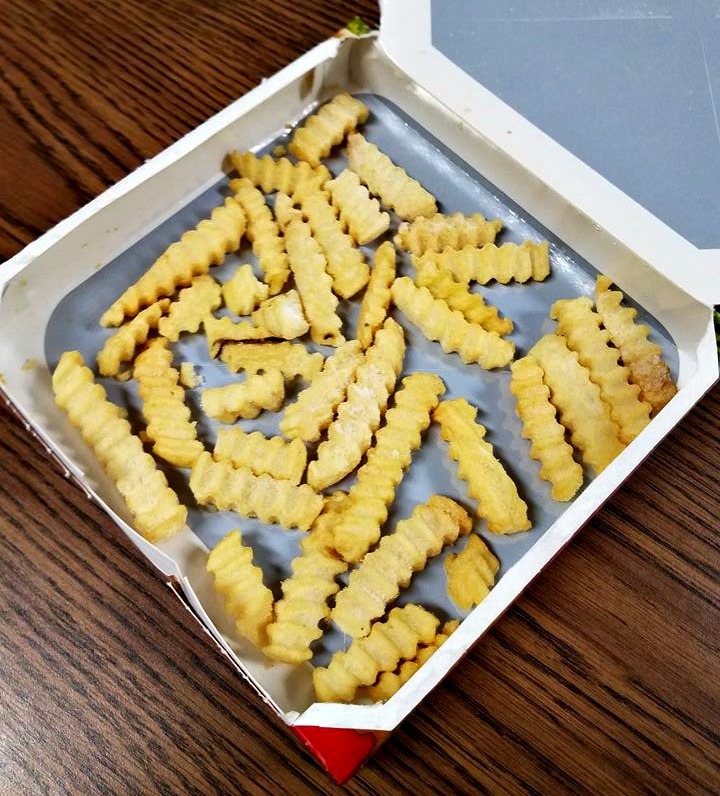 My mother would occasionally pick up fast food for us and inevitably eat half of the fries before she got home. We always begged her to just get her own, but she always insisted that she didn’t want any. It made me crazy! But we tried not to make too much of a big deal out of it, because having fast food was actually a treat. If we complained too much, we wouldn’t be able to have it at all. Sometimes she would even buy us fries that we could make at home. But the kind that you made in the oven were never quite crispy enough. And forget about the Ore Ida fries that you could buy for the microwave. Yes, we got them, because we just needed to fill that craving on occasion. And no matter what you did, they always came out horribly soggy. So I momentarily hesitated. But surely after 20+ years, they would have figured out how to make this work now, right? Behold the double-sided heating element thingie, or whatever you want to call it. The crispers are on both the top and the bottom of the box. 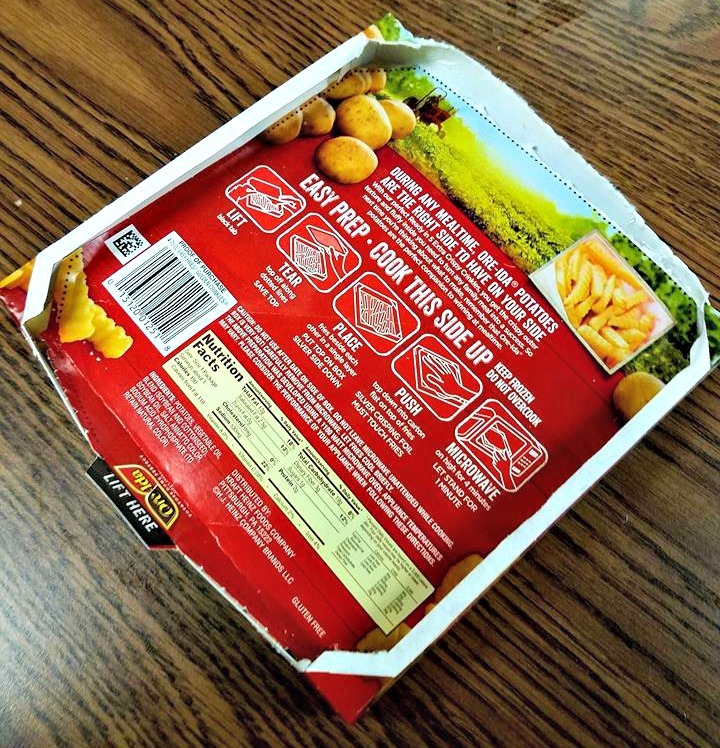 The instructions insist that you must make sure that you shove that top part down into the box, so that both sides of the crisper are touching the fries. That’s the only way to guarantee that they crisp up nicely. So okay, here’s my proof that I did it. You cook them for four minutes and then let them sit for another minute to keep on crisping. I did just as instructed. I pulled them out, expectations high. And then I saw this. They looked wet. Soggy. Flashbacks to my childhood. And I felt sad. I took them into the office to try. And yes, they were sad, limp, soggy fries. They even tasted the same as when I was a kid, which isn’t saying much. I had no ketchup for dipping – and believe me, they needed it – but I still had a couple of extra Horsey sauces laying around from an Arby’s run my boss made a few weeks ago. Horsey sauce on fries is something I’d never before tried, but I do recommend it. They certainly helped out these fries, so I am sure they would be fabulous on fries I actually thought tasted good. 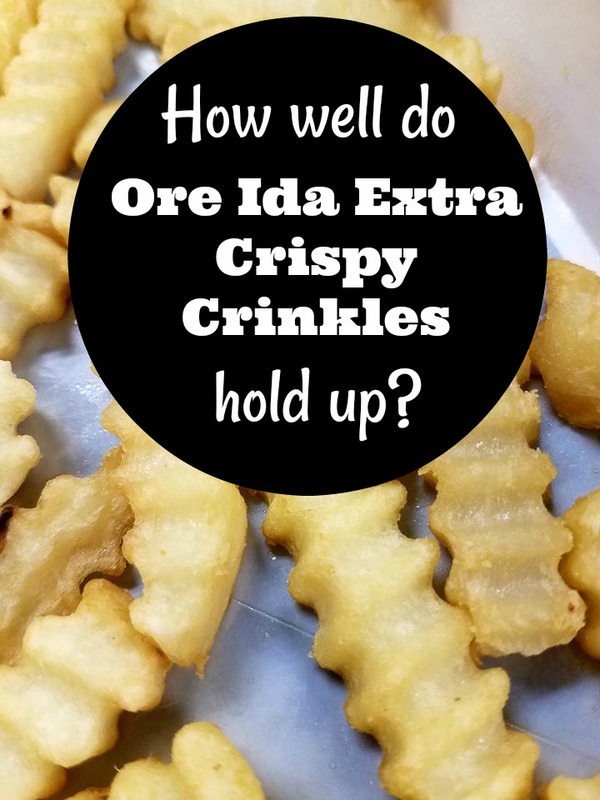 So yes, Ore Ida Extra Crispy Crinkles still are not much better than they were approximately 20 or so years ago. 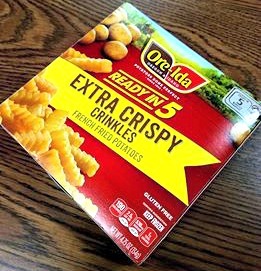 Honestly, if these are supposed to be the extra crispy ones, I am scared of what regular ones would be like. Now, I do know that there is another version that they dub extra crispy. Perhaps something in the crinkles caused a problem. Maybe I actually did something wrong in the cooking process, though I did read the instructions carefully. Maybe I will try again one of these days. Stay tuned.